At present, the Republic of Moldova's relationship with the European Union is based on the Partnership and Cooperation Agreement signed back in 1994. That agreement expired in 2008. Since then, and in light of political unrest last year, European Union officials repeatedly postponed negotiations towards a new agreement with Moldova. At last, a change in power, which came at the end of the year 2009, and the relative stabilization of political tensions has paved the way for a new beginning. Negotiations towards a new agreement between the Republic of Moldova and the European Union have gotten the green light to proceed. For the Alliance for European Integration, whose main campaign platform during the last parliamentary elections was the European integration motto, the way from words to action was a quick step. Prime Minister Vlad Filat and Interim President Mihai Ghimpu made their first official visits abroad to Brussels. The European Union has received the new Moldovan governing coalition positively and, in December 2009, Moldovan Prime Minister Vlad Filat and EU External Relations Commissioner Benita Ferrero-Waldner signed a memorandum approving EU consultative assistance for the Moldovan Government. The consultation agreement allows European high-level consultants to work with the Moldovan Government to help the Moldovan authorities initiate important structural reforms. 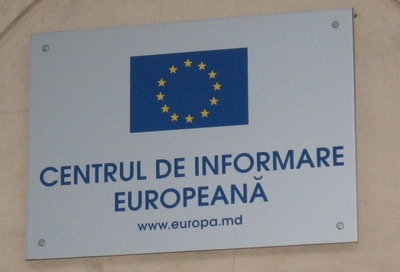 Furthermore, the first round of negotiations for a new political agreement between the Republic of Moldova and the European Union was held on 12 January, 2010 in Chişinău. The meetings signaled that a positive conclusion to agreement negotiations may be reached. Gunnar Wiegand, head of the European delegation to the negotiations, declared that “the launch of the negotiations means something in itself, as the European Union is interested in having a successful agreement with Moldova”. At the moment, the Republic of Moldova hopes for an agreement that would further advance progress toward the complete liberalization of the visa regime, the creation of a free trade zone, and cooperation in other areas. The new document will probably be tailored within the parameters of the European Neighborhood Policy, but it will nonetheless affirm Moldova's European aspirations. Natalia Gherman, vice-minister of “foreign affairs and European integration” and chief of the Moldovan delegation to the negations, said she believed that the new agreement would be negotiated in the spirit of an Association Agreement, with clear prospects of future integration into the European Union. It is important to mention that Romania is a strong advocate of the Republic of Moldova's European aspirations. Despite the contentious relationship between the countries' former communist authorities, Romania has always expressed its total support for the Republic of Moldova's Europeanization. Last year's political changes brought a new positive dimension to Moldovo-Romanian relations. After his reelection, Romanian President Traian Băsescu made his first official visit abroad to the Republic of Moldova from 27 to 28 January, 2010. President Băsescu, who was presented with the highest official Moldovan honor, expressed his total support of Moldova's European aspirations and announced that Romania currently has 130 millions Euros in European funds intended for Moldovan-Romanian-Ukrainian trans-frontier projects. As the technical aspects of an agreement move forward, it bears remembering that a new Moldovan-EU political agreement would first and foremost be a commitment by the Republic of Moldova to implement fundamental internal legislative and institutional reforms. Before Moldova can become part of the European Union, it must first bring European standards and values home to Moldova.